Kerala contains tranquil stretches of emerald backwaters, exotic wildlife, sprawling plantations, paddy fields. Ayurvedic health holidays, enchanting art forms, magical festivals, historic and cultural monuments and exotic cuisines. All of which offer you a unique experience and what’s more each of these charming destinations is only a two-three hour drive from each other - a singular advantage no other destination offers. This tour features backwaters, dense forest, cultural activities and covering three of the most popular destinations in Kerala. Cochin: Cochin also known as Kochi (colonial name Cochin) is a vibrant city situated on the south-west coast of the Indian peninsula in the breathtakingly scenic and prosperous state of Kerala, hailed as ’God’s Own Country’. Cochin is proud of its world class port and international airport that links it to many major cities worldwide. 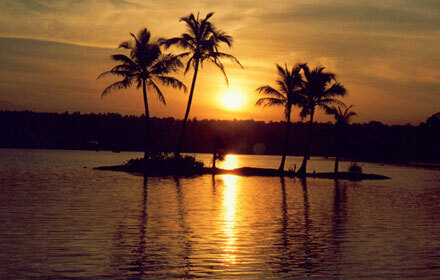 Alleppey: Entire district is endowed with immense natural beauty. The sandy strip of land with the Arabian Sea to its west is woven by lagoons and an array of rivers, canals and lakes ideal for boat cruises. On arrival at the airport, meet your representative who will take you to hotel. Afternoon explore Jewish Synagogue – which is one of the oldest synagogue amongst all the commonwealth nations. St Francis church, Dutch Palace or Mattancherry Palace - a 16th century palace. Just opposite to the Mattancherry Palace, visit the spice market, one of the biggest centres of spices in Cochin. In the evening we will take you to Kerala’s local dance performance show called Kathakali, which represents rituals and is based on its historical story. Overnight at Hotel. After breakfast, we drive through the Western Ghats to Thekkady, a beautiful area of tea gardens, rubber estates, rich with coffee and pepper plantations, located high in the Cardamom hills. On our way we will visit the Tea Museum opened by the Tata Tea group. In the afternoon, we visit a spice garden where you will be introduced to different spices and shown how some of the spices are grown. Overnight at Hotel. We wake up early to experience a boat cruise on the Lake Periyar, which show cases a kaleidoscope of activities that incur around the lake, jungle evergreen moist forests and savannah grass lands that characterise Periyar. We later proceed to view the rare species of plantations, animals and visit a spice plantation growing cardamom, pepper, coffee and tea estate. Walk amidst the palette displaying variant shades of green, neatly arranged into terrace farms, the symmetry broken only by the sudden appearance of a gurgling stream. It is believed that the spice trade dates back three thousand years in Kerala and many spices find their home here. We’ll arrange an Elephant ride for you through the forest to enjoy nature closely. Overnight at Hotel. After breakfast proceed to Alleppey set in the backdrop of Vembanad lake which is largest lake of Kerala. Alleppey is a land constructed by the deposition of mud and other materials through natural and man-made methods. Board the Houseboat; while sailing enjoy palm fringed narrow canals winding through the vast expanse of paddy fields, several small village situated on small Island. You can have stop over on some scattered island, canals, panoramic sights one can never forget. Flocks of ducks swimming around the banks and tiny birds flying across the sky remain an enduring picture reflecting the charm of this beautiful land. Enjoy fishing and sunset when heading towards Alleppey. Overnight on House boat. After a leisurely breakfast check out and transfer to Cochin airport to board the flight for your onward journey. ** £ 90 extra during Peak season including Xmas and New Year Gala dinner supplement. * £ 45 extra during Peak season without Xmas and New Year Gala dinner supplement. Hotel Airlink Castle is an exquisite Five Star Luxury Hotel, located at the portals of Cochin International Airport, Nedumabassery, Cochin and Kerala, India. Airlink Castle offers you 54 centrally air conditioned rooms with all modern facilities. All the rooms are designed for comfort with beautifully carved woodwork and furniture and a lookout to extensive coconut gardens. The multi-cuisine restaurants, 24 hour coffee shop, business room, health club, the activity center, board rooms, conference halls, rooftop swimming pool with a garden around, a premium bar well stocked with Scotch whiskies, French wines etc. 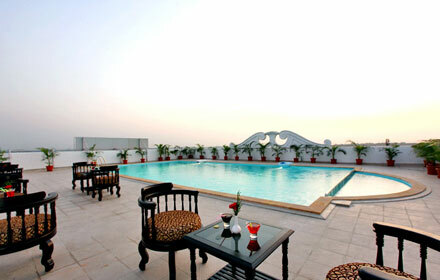 will make your stay enjoyable and rejuvenating whether your stay is for business or leisure. Elevated on a mountain slope, the eco-friendly Thekkady Wild Corridor enjoys beautiful views of the sunrise and surrounding green valleys. An outdoor pool, pampering spa treatments and yoga sessions are available. Parking is free. The spacious villas and rooms all come with a balcony and views of the mountains and distant hills. A seating area, TV and sofa are included. En suite bathrooms have a spa bathtub. Thekkady Wild Corridor is 4 km from Kumali Bus Station and 9 km from Periyar Tiger Reserve. It is 120 km from Kottayam Railway Station and 190 km from Cochin International Airport.